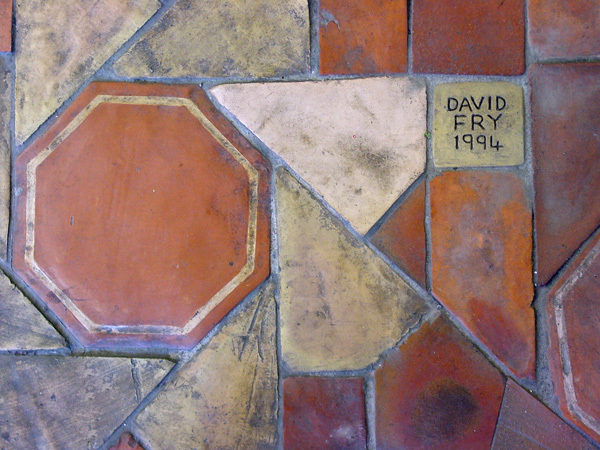 David Fry set up the architectural ceramics project and supervised a team of people to design, make, and install decorative tiling for the whole of the new Arts Centre complex, which was converted largely from a group of 18th century buildings set around a courtyard. 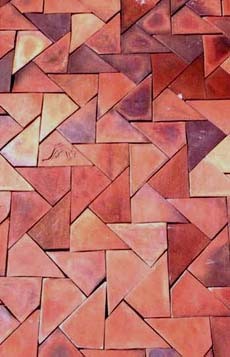 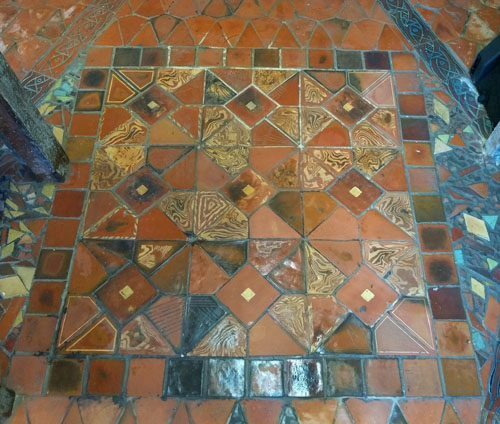 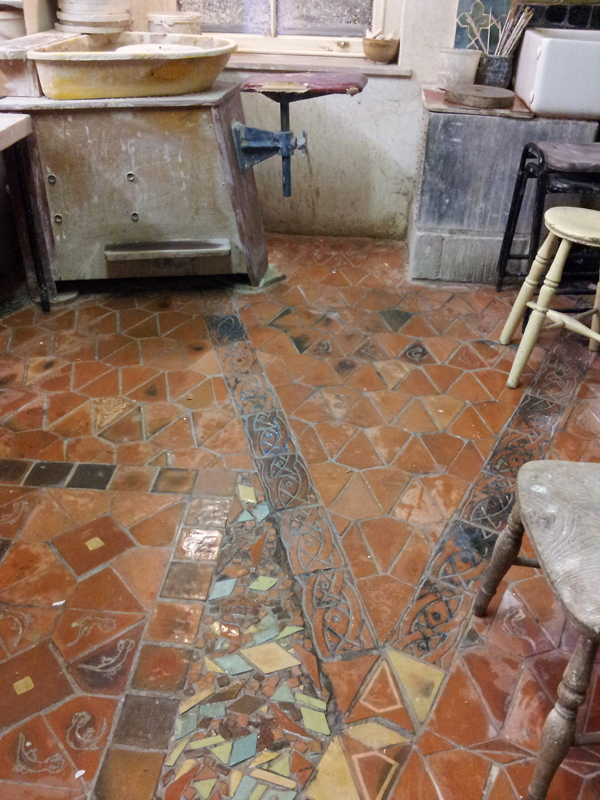 The tiles were produced in the traditional way, hand-made, in terracotta clay (with some of the clay being dug and processed on site) one inch thick, pressed in wooden frame-moulds. 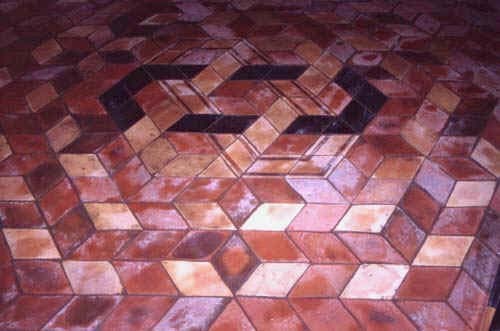 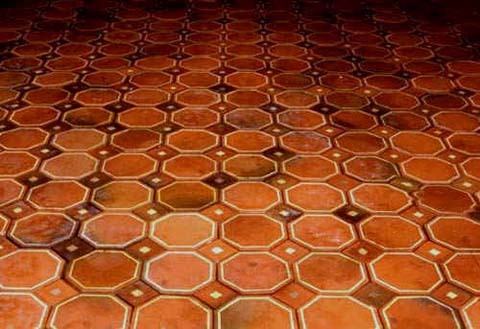 Designs were inlayed with white clay, coloured slips or glazes deep into the tile; the patterns will wear for at least 500 years. 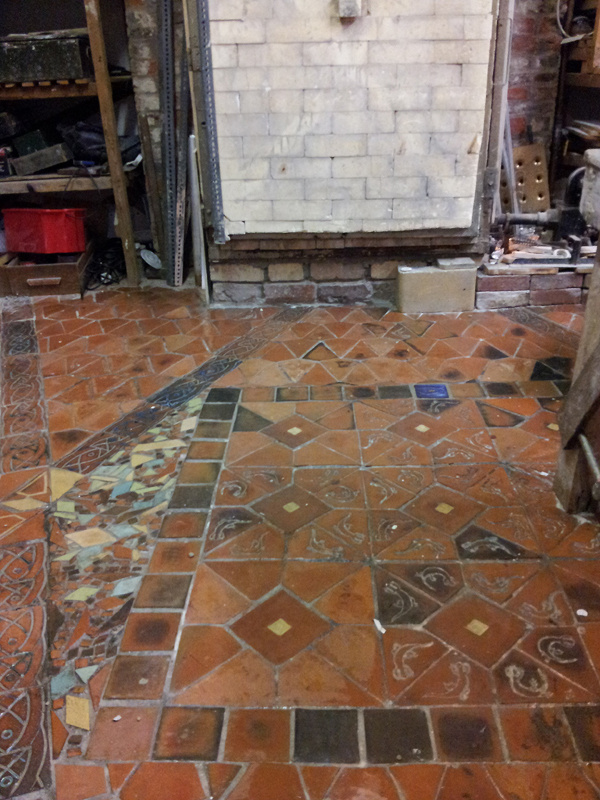 They were reduction fired with gas and wood to a temperature of 1140 Centigrade. 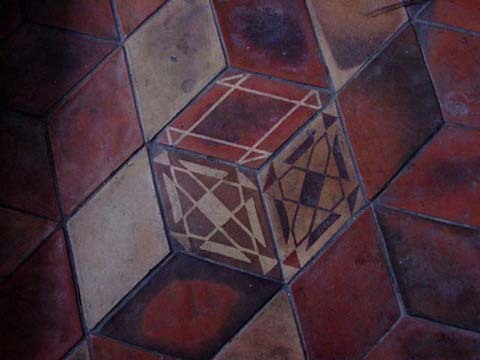 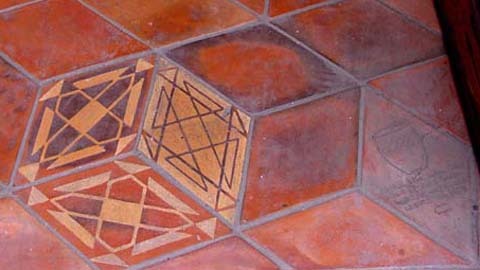 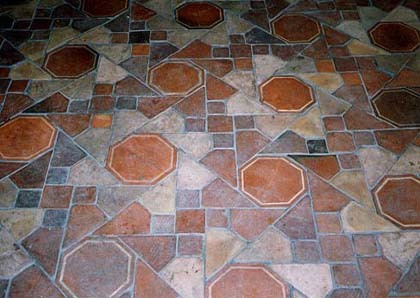 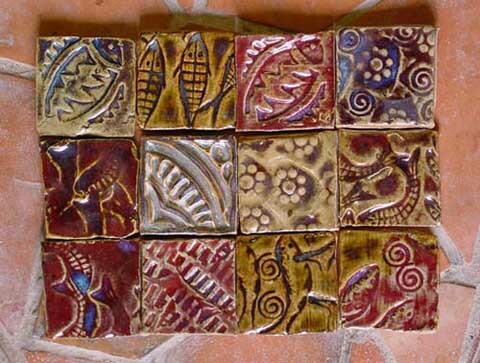 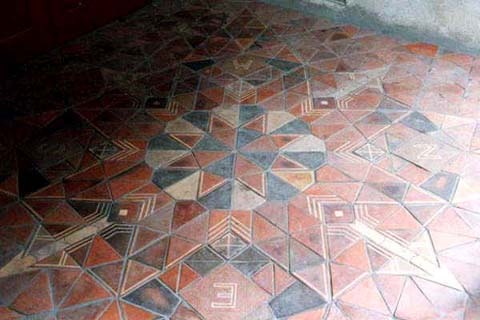 He was influenced by tiles he had seen in Palaces in Spain, Brinkburn Priory in Northumberland, Westminster Abbey, to name a few, and his own inspiration/interpretation; a lot of the designs are original. 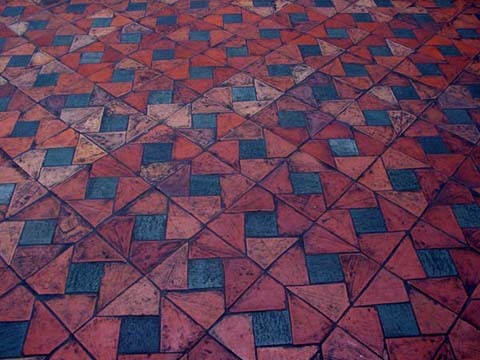 The project took 5 years during which several thousand sq. 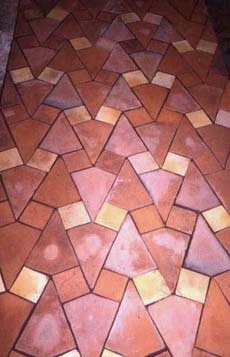 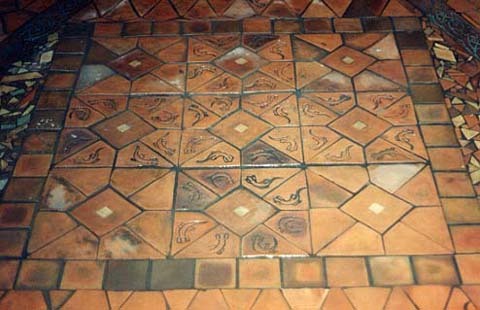 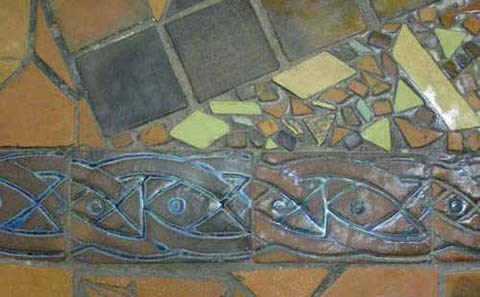 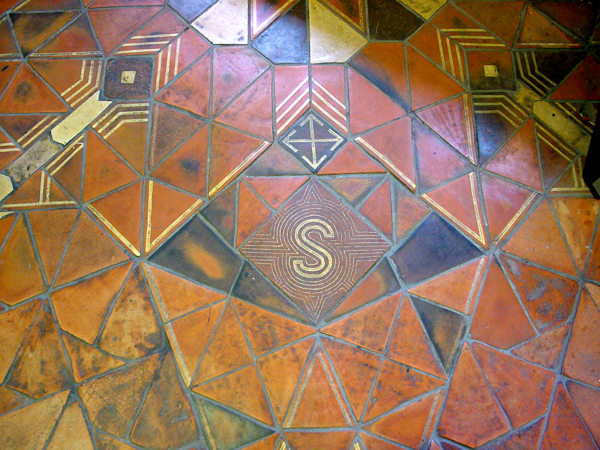 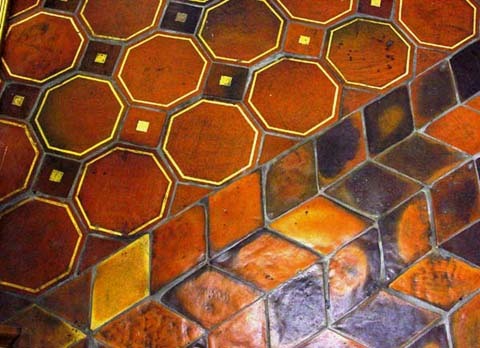 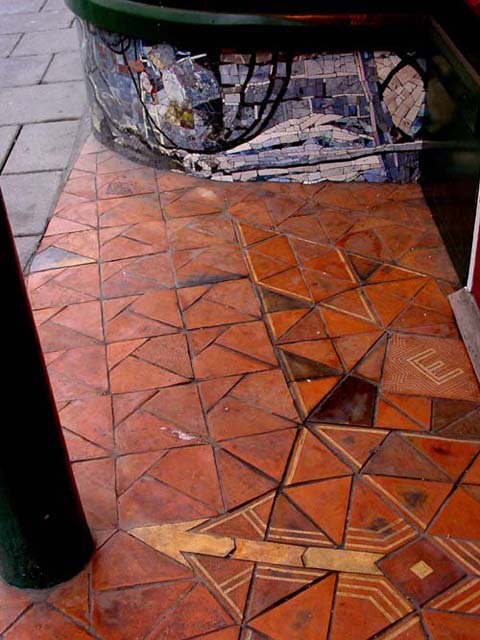 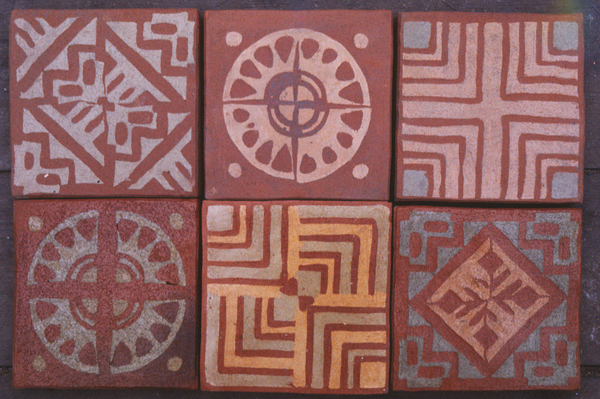 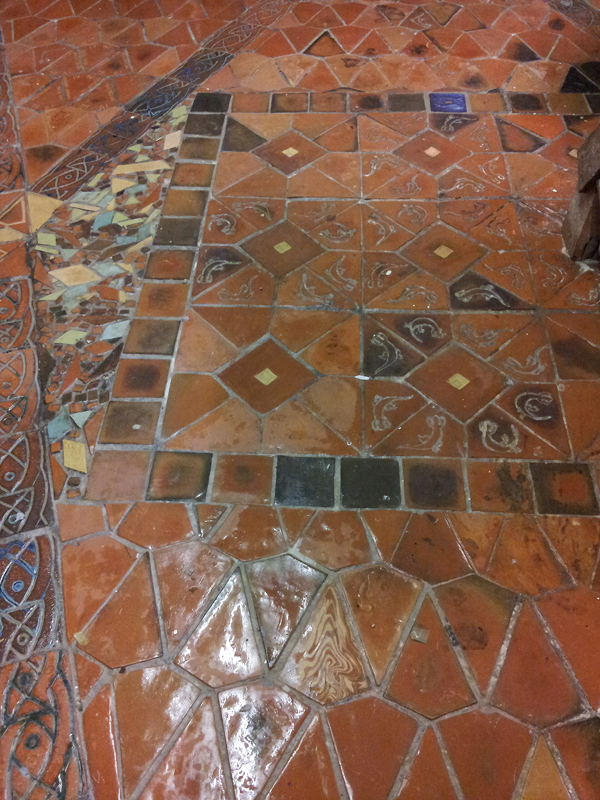 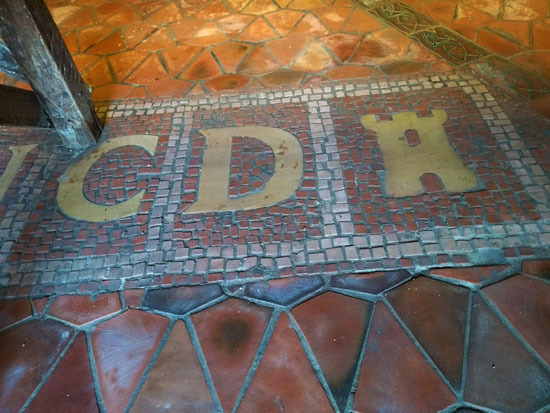 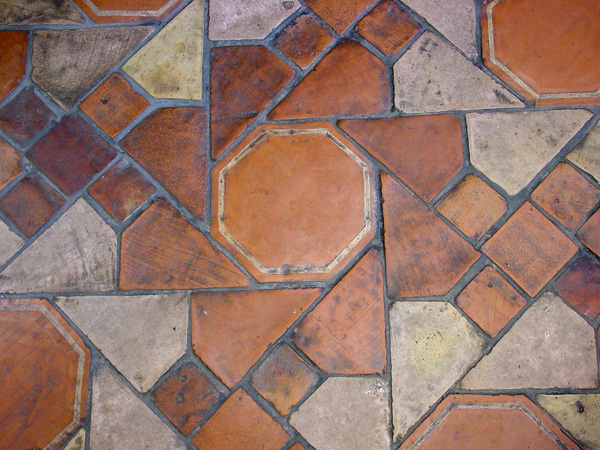 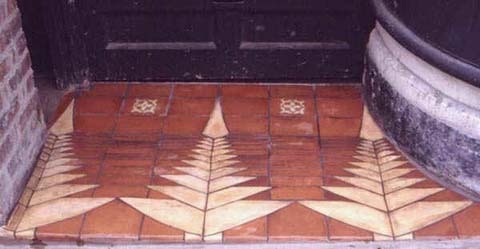 feet of tiles and mosaics were designed and made, fired and installed, and also was selected for the BBC Design Awards in 1987. 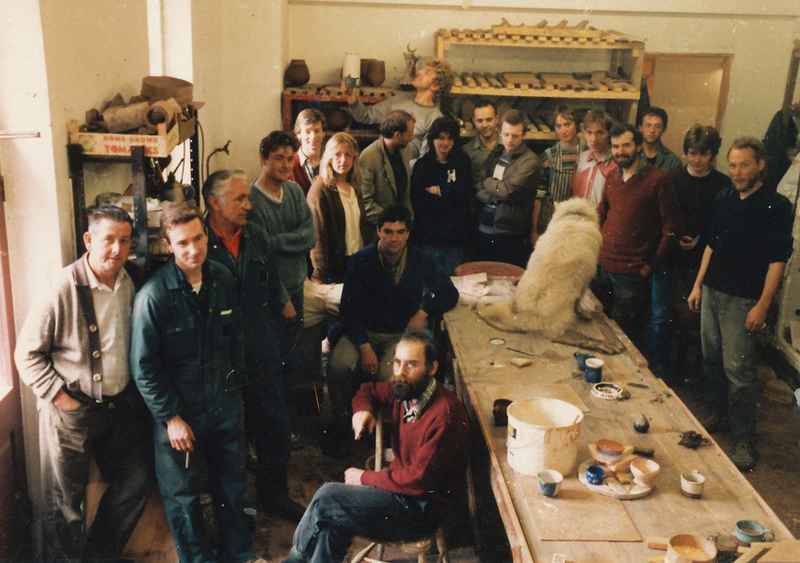 As well as the Tile project, he conducted all the archaeological excavations on the Arts Centre site, discovering a Roman Milecastle right under the pottery studio.. link to Artists Newsletter cover photo 1989. 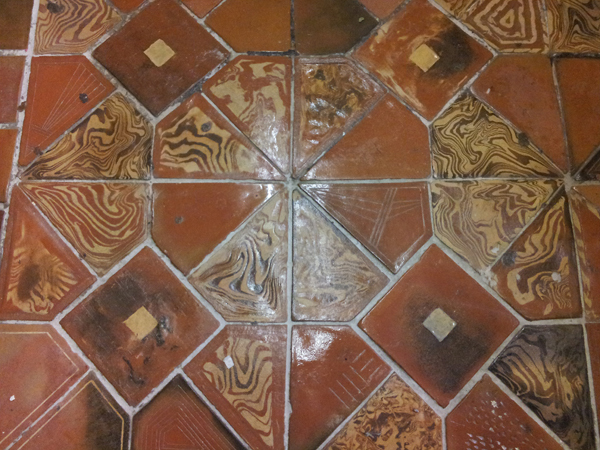 1984 : AJ Architects Journal – article and photographs on my Tile project. 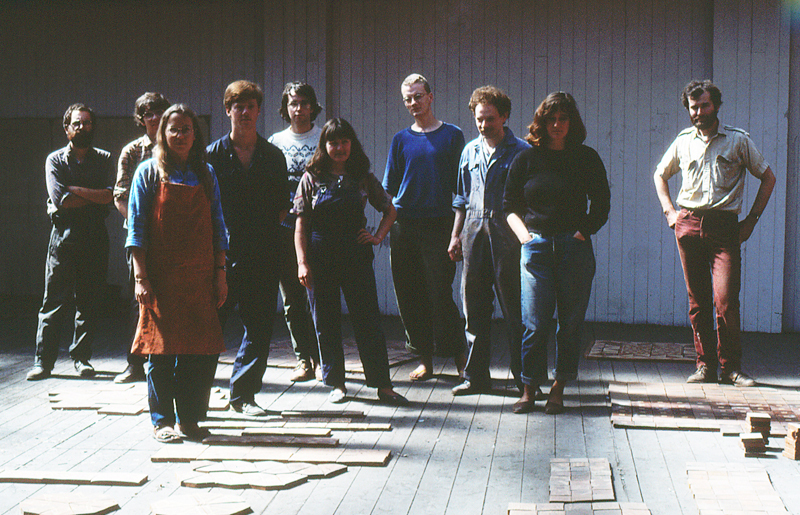 1987 : Building magazine – main feature . 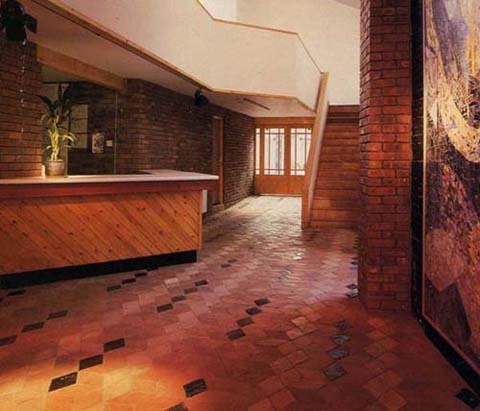 1987 : BBC Design Awards. 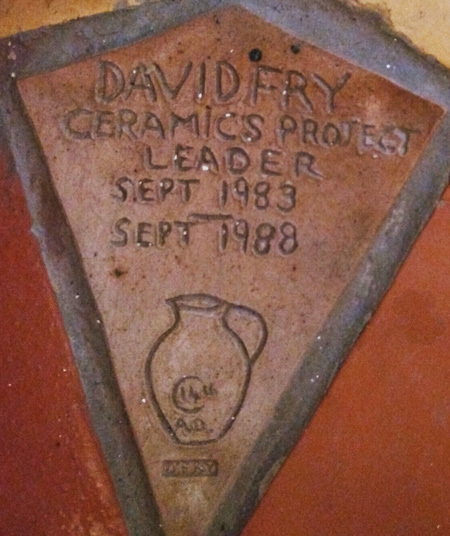 1989 : Artists Newsletter cover and feature.